Tilt 'n' Drain Big Griddle Electric Griddle. 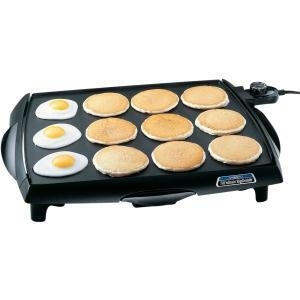 This griddle offers and efficient "square" shape that holds more pancakes, eggs, and sandwiches than most conventional rectangular griddles. Cool touch base surrounds the grilling surface on the front and both sides.